Three more Village Cinema venues are set to be assessed as potential video wall sites Image credit: Lindsay Stodden. The partnership will provide major pourage rights for Lion beer to be stocked across all Village Roadshow properties, including Village Roadshow Theme Parks, SeaWorld Resort, Village Cinemas, and the recently launched Topgolf on the Gold Coast. The latest arrangement will see integrated beer offers, venue sponsorships, promotions and activations across each of Village Roadshow’s properties, where Lion will bring its key brands, including James Squire, Heineken, and Furphy. The latest partnership follows Village Roadshow joining forces with Mastercard in June to provide new experiences for cardholders across its cinema, theme park and entertainment properties. Currently, Heineken is the presenting partner of Topgolf’s Roof Terrace Bar and Iron Jack is a major partner with Australian Outback Spectacular. With this partnership, Lion will also have key presence across Village Entertainment’s Gold Class Cinemas. Village Entertainment GM marketing and sales, Mohit Bhargava, said the company is thrilled to be partnering with Lion. “Lion has an outstanding portfolio of iconic Australian and international beers and understands the strength and reach of Village Roadshow group along with the unique requirements of each of our businesses,” Bhargava said. “The company is committed to enhancing our guest experience by paying careful attention to each of our entertainment destinations, right from bespoke beverage lists through to amplifying key events and activations. By aligning all our relevant assets into group wide alliances, this partnership represents the OneCo vision set out as part of our strategic plan to maximise value for VRL and our strategic partners." National on-premise manager at Lion, Jason Pawley, said the opportunity to curate and align its beverage and brand marketing programs across all of Village Roadshow is a fantastic opportunity for the group. “As we are always looking to partner with businesses that offer customers with rich experiences and are continually investing in their offerings, we are particularly excited by the growth potential of Topgolf being the latest addition to the Village’s portfolio and look forward to working with the team” he said. The partnership is the second of the group-wide business agreements for Village Roadshow. Bhargava said it’s the result of an evolution of the business approach around commercial partnerships and sponsorship. 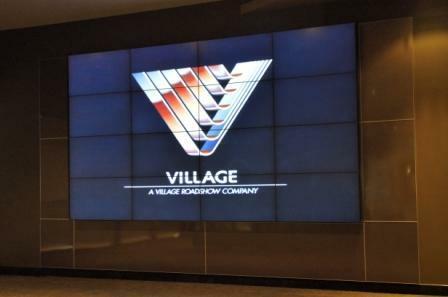 Last year, Village Cinemas achieved a 10 per cent increase in its Net Promoter Score as the result of significant investment and cross-divisional support for its voice of customer program. Bhargava, attributed the result to a massive push to deliver a customer experience framework and voice of customer (VOC) program, work that has seen brand, operations and HR and staff come together as a united force.